Graduation season is just around the corner so I decided to check out graduation items at HM Ben Franklin Crafts. 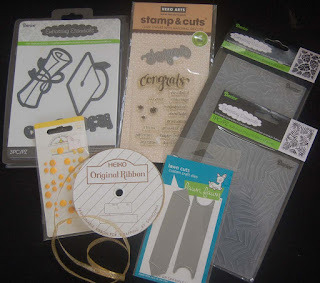 I found some cool Darice tropical plant embossing folders and a graduation die set. I used the die set to to cut and emboss the caps and diplomas. I added tassels made from embroidery floss and added Heiko ribbon to the scrolls to give the card more dimension and interest. 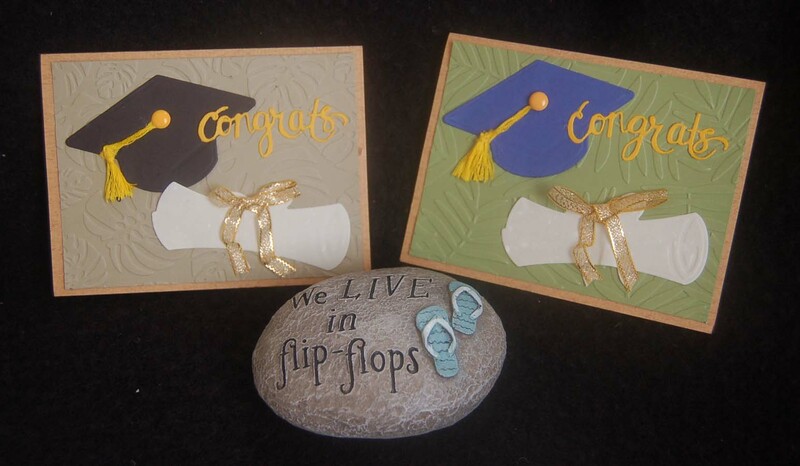 The 'congrats' was cut with a Hero Arts die. Of course graduation cards should include a gift card or monetary gift so I used the Lawn Fawn die to cut the slots on embossed rectangles which I attached to the inside of each card. This was an easy card which can be produced quickly so you can certainly make multiples in various school colors. 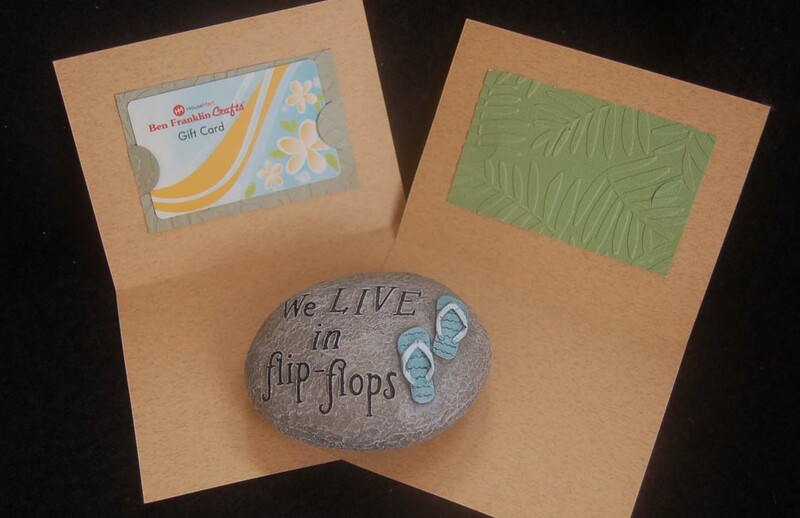 The 'fake' flip flop rock is also from HM Ben Franklin Crafts. I thought it was cute and very 'local'!